Due to the unstable weather caused by Tropical Cyclone Doksuri, for safety reason, the date of the fundraising hiking event (orginally scheduled to take place on 2 July) has been postponed to 18th August (Sat). 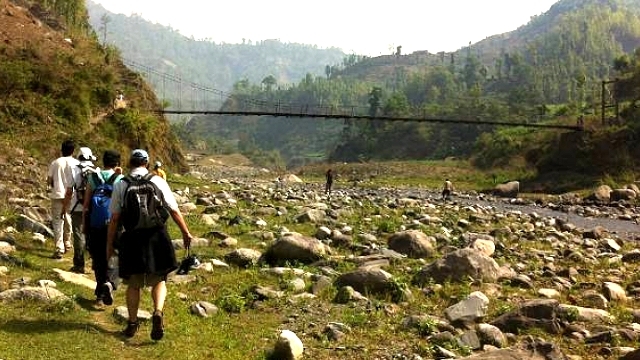 We invite you to join us in this meaningful event, hiking and crossing stream under bright sunshine in order to experience the hard work of Nepal development workers and offer financial support to the community development work in Nepal. Let us join hands to help the needy in Nepal and build a world without poverty! Download the registration form, fill in and return it to us by fax 2392 2777 or by email sharing@cedarfund.org before 15th August 2012.